BAM is for Brooklyn Academy of Music. 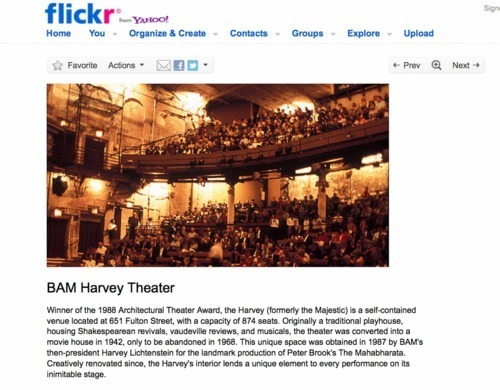 And the BAM Harvey Theater, located on 651 Fulton Street in Brooklyn, is a great small theater that hosts international performances year-round. Its interior looks like decay, real. I really liked it. This weekend I went there with my parents to see Shakespeare’s Macbeth. The play was over two hours without intermission, and the language was confusing, but having read what the play was about beforehand helped me understand what was going on. The choreography and lighting were incredible, and there were no need for props, for the acting set the scene. It was past 10pm when we got back to Manhattan. We had not had dinner and were too tired to sit in a restaurant, so we decided to do something we never did before – order cheeseburgers to take home. 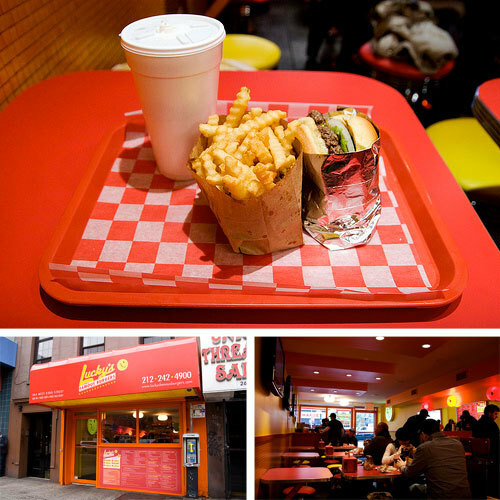 Lucky’s Famous Burger is a neighborhood joint that is more or less a fast food place but with great burgers and fries. Worth a try if you like burgers and haven’t tasted theirs. Real meat and tomatoes, and Boylan’s Soda Fountain!